My next door neighbor’s daughter is in my daughter’s classes at school. They used to be friends until high school. The girl told our Homecoming-queen daughter she was jealous of her last year. Our daughter didn’t know what to say, so she said nothing. The girl accused our daughter of being “just like everyone else who was mean to her.” Our daughter said she was sorry the girl was being treated badly. Her mom, our neighbor, called us and said our daughter was bullying their daughter and could we please do something about it before their daughter retaliated against all the kids who hurt her. They arrested the girl. She was put into a psychiatric ward and released a month later. Needless to say, the mom and the daughter don’t talk with us anymore. We’re nervous that the girl could do something else. What should we do? This serious situation warrants continuous caution, although authorities are very aware now and your neighbor is probably facing charges. Besides being vigilant with your neighbors, stay in touch with the police and school. Let them know about any communication that may seem threatening and aggressive. Keep journals and document everything. Help your daughter to feel free from the worry of harm. Showing fear to the girl next door will empower her. Say hello to your neighbors, but don’t engage in conversations. Applaud your daughter for having the confidence to report the girl next door. You handled the situation as best as possible. There is a chance that the girl has changed for the better and any mental illness is addressed. More than half of bullying situations stop when a peer intervenes on behalf of the victim. Taking action and not standing by helps convince other students to do the same. 70.4 percent of school staff members have witnessed bullying. 62 percent of students witnessed bullying two or more times in the last 30 days. 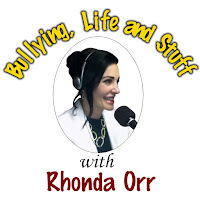 41 percent see bullying once a week or more. And finally, when bystanders intervene, bullying usually stops within 10 seconds. Certainly, get professional help for your family.